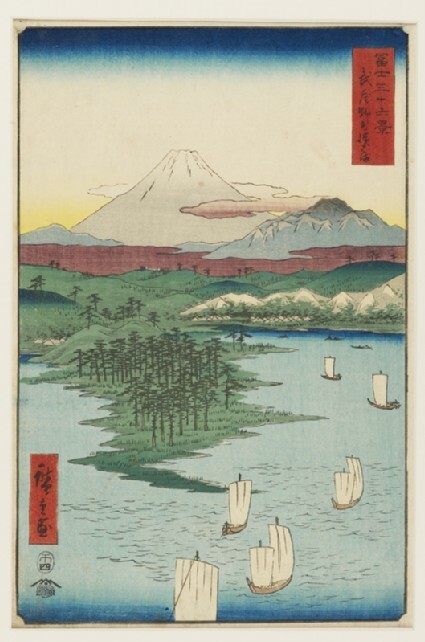 Pine trees on a spit of land, a matsubara, push forward into the foreground, while the diminishing size of the sails emphasise the distance. Musashi is the name of the great plain on which much of Tokyo is built. 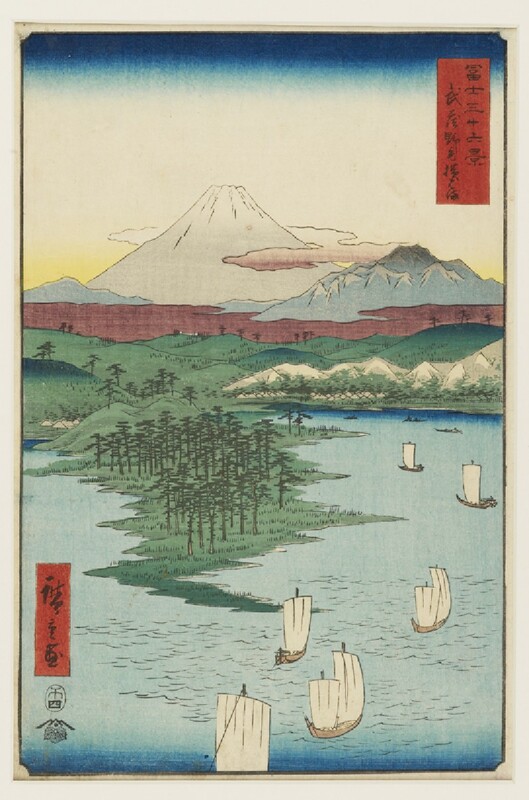 Pine trees on a spit of land push forward into the foreground, while boats sail away into the distance.The decreasing size of the sails emphasizes their progress away from the viewer. 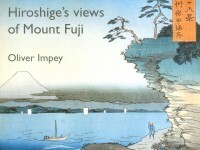 Hiroshige was familiar with Western ideas of natralism and perspective and absorbed some Western elements into his work.